I have presented a short series of posts on the Career of a Pharmacy Technician. Today’s is the last one in this 3-part series. We began with an interview of Cassie McIntyre, followed by an interview with a personal friend and former co-worker Christina Ottman. For today’s article I reached out to a couple of awesome Twitter friends: Jenn & Vashti. Both have considerable experience working as pharmacy technicians and are abundantly qualified to answer a few questions for my readers. Jenn works in retail, and Vashti works in a Long-Term care pharmacy. I want to personally thank them both. So, imagine we are all sitting around a table. For 15 minutes we can hang up our white coats. The phones are turned off. The prescriptions have stopped coming in. Grab a coffee. Come sit around the table with us as I ask both Jenn and Vashti a few questions about themselves and their careers. 1. Ladies, thank you BOTH for joining me in this discussion about your work as a pharmacy technician. Can you tell me and my readers about your life BEFORE pharmacy? JENN: After spending 10 years in a different profession all together, and then staying at home with my daughter when she was young…I was looking for something different. I actually kinda stumbled onto a job posting, was interviewed and hired on the same day. VASHTI: I got started in pharmacy after losing my job a few years ago with Estée Lauder, I’ve decided to go back into the healthcare field and enrolled in the pharm tech program at a community college. 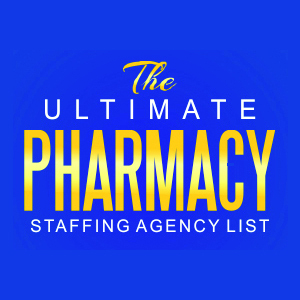 My first tech position was held at Rite Aide Pharmacy where I worked for a year until I took another position where I am currently employed with a company named Omni Care pharmacy for palliative care in their Philadelphia location, which is a mail order and medication consulting pharmacy. We provide medication consulting with Hospice nurses and Long term care facilities to terminally ill patients. 2. What exactly does your job look like, on a day to day basis? VASHTI: My job title is a triage technician. I take high volume medication orders mainly from nurses and sometimes Hospice Physicians; meds are kept in patient profiles for nurses, physicians and pharmacist for review and refills either online or sent to patient’s homes. JENN: The technicians in our store work from grids. So I have approx 2 hours in each position on an average 8 hour shift. I seem to spend more time in the typing spot than any other though. 3. What do you like most about being a pharmacy technician? JENN: I like that each day is different. Our store is a fast paced retail store. I love the fast pace and the challenges that come with it. Looking forward, I would love to have a position training techs coming into the company or a position similar to that. 4. What is the most challenging part to your job? VASHTI: I would say my most challenging aspect of my job would be sometimes dealing with the high volume of calls servicing the nurses in a timely manner when it gets really busy and when it’s hard to locate physicians to get hard copies for narcotics. When I worked in retail…dealing with the public sometimes became challenging when there was insufficient tech help, long lines at drop off, pick up and a 2 lane drive thru. But this helped me with my organization, problem solving and multi-tasking skills. But even with all the stress sometimes I really love my career and am looking forward to advancing in my career. JENN: The most challenging aspect is ironically one of my favorite aspects–dealing with the general public. It’s challenging because each person and each situation is different. With some people you can joke and smile, with some you know you can’t. It’s a challenge to read each person correctly–and I do love that part. 5. There is, of course, life beyond the 4 walls of the pharmacy. What do each of you enjoy doing when NOT at work? Once again I want to thank both Jenn & Vashti for sharing with us about their careers as pharmacy technicians. Please feel free to ask a question below or follow my friends on Twitter! One Response to Pharmacy Tech Careers Part III – With Jenn & Vashti! 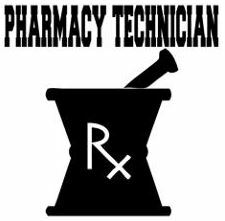 ‘Pharmacy Technician’ the term itself has a variously viewed entitlement of which are unclear in some peoples idea of what it is they are entitled to practice. They are a sort of go between of which the pharmacist’s will allow them to do for the Pt. We all know they are not as educated as the pharmacist. We also understand anything the tech does that results in a error of morbidity or mortality is the responsibility of the pharmacist on duty. Underpaid, overworked, the technician becomes a parapharmacist so to speak on issues they can be entrusted with. Triple checking? Is that a misnomer. Or a hilarity. We try are best. It isn’t always good enough, but what else are we to do?